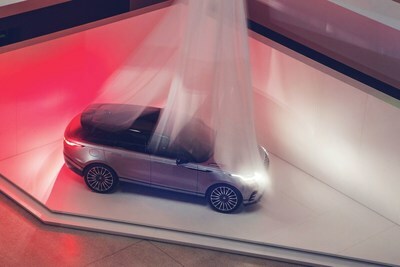 Taking its place alongside the design greats of all time, the Design Museum welcomed a new exhibit this evening: the Range Rover Velar. Velar is now on public display in the Design Museum, London, in a unique installation, open until 5 March 2017. The exhibit is called 'Reductionism', showcasing the philosophy of stripping away complexity to reveal true quality. The last time Land Rover displayed a vehicle in this way was in the early 1970s when the original Range Rover was shown at the world-famous Louvre Museum in Paris, as an example of "exemplary industrial design". Land Rover Chief Design Officer, Gerry McGovern, said: "We are delighted to be able to begin our partnership with the Design Museum with such a significant vehicle. 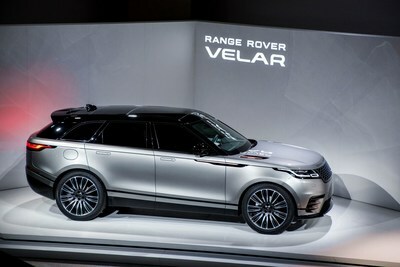 The new Range Rover Velar brings a new dimension of modernity to our brand while reinforcing our total commitment to design and engineering excellence." Refined for every occasion, for every terrain, Velar uses unique sustainable materials and advanced engineering to continue Land Rover's drive to go Above and Beyond. Created from a clean sheet using Jaguar Land Rover's Lightweight Aluminium Architecture, it is safer, stronger, cleaner and improves driving performance. Velar continues Range Rover's history of innovation, incorporating advanced technologies, compelling design and absolute attention to detail. Peter Virk, Jaguar Land Rover's Director of Connected Car & Future Technology said: "Two high definition 10-inch touchscreens are your window into the world. The connected infotainment system learns from you and anticipates your needs, serving you what you want, when you want it - but never intrudes letting you enjoy the drive, while it takes the stress out of daily life, like any good butler or digital personal assistant should." Advanced consumer technology is reflected in the use of trend setting materials. Unique in the segment, the Velar offers a sustainable, premium textile seat material as an alternative to leather. The Dapple Grey material was developed together with Kvadrat, Europe's leading manufacturer of high-quality design textiles, and is complemented with Suedecloth inserts. the first Range Rover prototypes designed by Charles Spencer King in the Sixties. When development engineers needed to hide the true identity of the 26 pre-production Range Rovers, they chose the name Velar, derived from the Latin velare meaning to veil or cover. - Since 1948 Land Rover has been manufacturing authentic 4x4s that represent true 'breadth of capability' across the model range. Defender, Discovery, Discovery Sport, Range Rover Sport, Range Rover and Range Rover Evoque each define the world's SUV sectors, with 80 per cent of this model range exported to over 170 countries.